Come to Dr. William E. Polley Jr., Inc., in Fairlawn, Ohio, to receive primary care from an accomplished medical doctor of internal medicine. My practice provides health services for both young adults and geriatric patients. 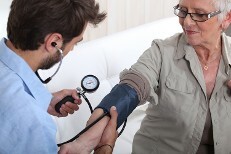 I am able to offer care for any condition within the realm of internal medicine. Contact me when you are in need of a caring and knowledgeable primary care physician.